William B. Eerdmans Publishing Company, 9780802848369, 500pp. In debates surrounding the New Perspective on Paul, the sixteenth-century Protestant Reformers are often characterized as the apostle's misinterpreters-in-chief. 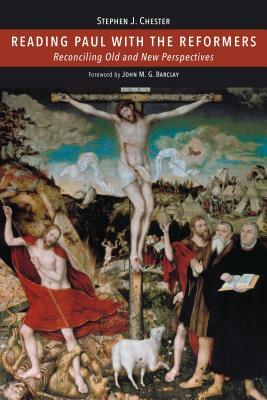 In this book Stephen Chester challenges that conception with a careful and nuanced reading of the Reformers' Pauline exegesis. Examining the overall contours of Reformation exegesis of Paul, Chester contrasts the Reformers with their opponents and explores particular contributions made by such key figures as Luther, Melanchthon, and Calvin. He relates their insights to contemporary debates in Pauline theology about justification, union with Christ, and other central themes, arguing that their work remains a significant resource today. Published in the 500th anniversary year of the Protestant Reformation, Chester's Reading Paul with the Reformers reclaims a robust understanding of how the Reformers actually read the apostle Paul. Stephen J. Chester is professor of New Testament and academic dean at North Park Theological Seminary in Chicago. He is also the author of Conversion at Corinth: Perspectives on Conversion in Paul's Theology and the Corinthian Church.